In my New Year's Tree post, I talked about the "branches" that are guiding me in these early months of 2016. While these toy snow globes might simply look like a fun little project to do with the kids, they also fit nicely into three of my branches (areas of focus) - order, creativity and family. In terms of order, I have done a ton of de-cluttering over the last six months but there is still quite a load of stuff in our basement storage room, much of it old toys. Although the kids are 11 and 13 now and rarely use these toys, they have trouble letting go. 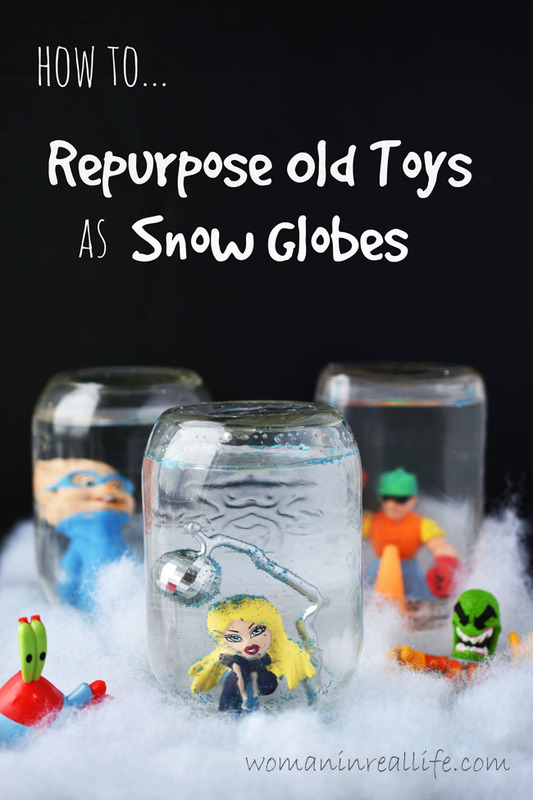 While most of the small plastic figures they have collected over the years need to be tossed, I thought it would be fun to ask the kids to pick out a few to keep on their dressers inside homemade snow globes. Therein lies the "family" part of the equation - ie. 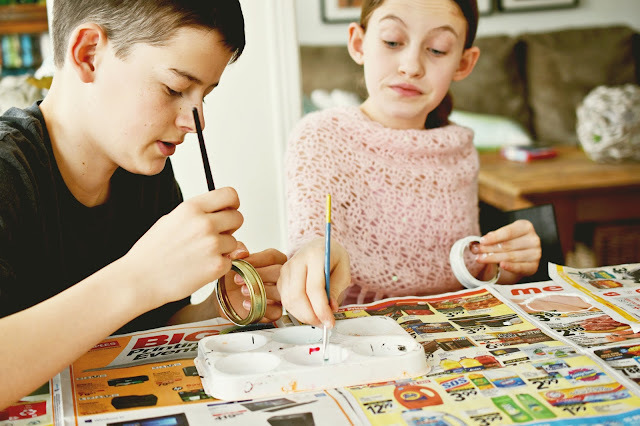 spending time together making snow globes. And the creativity part, well I guess that's obvious! This project is the first in a year-long series of diy projects I'm doing with 11 other Canadian bloggers. Please follow along on Instagram using the hashtag #12monthsofdiy. Each month we will all create different projects using the same material. This month our material is mason jars. We are going to be asking for your participation as we go, so follow me on Instagram for details. 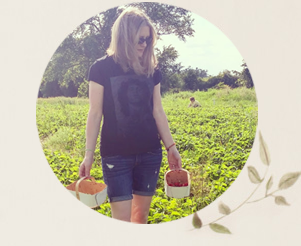 12 months, 12 bloggers, 144 projects! Lots o' fun and inspiration! 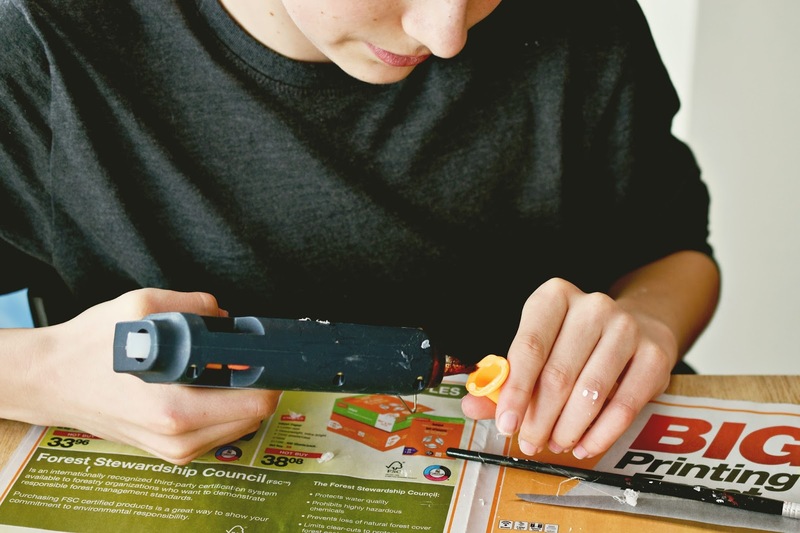 *There is some question via online channels about how long hot glue may last in water. Although it worked for our project, if you want to be extra sure, use epoxy. **When I asked the pharmacist where the glycerin was, she asked me if I wanted suppositories. True story. Paint the outside (metal ring/band) of the mason jar lid with acrylic paint. We used white paint to represent fallen snow. Set aside to dry. 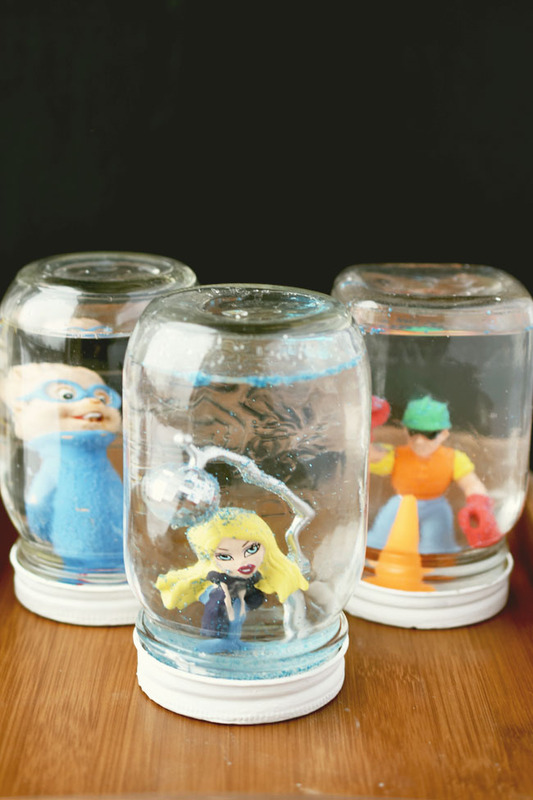 Arrange the toy(s) on the inside of the lid. Ensure that the bottle will fit over the toy(s). Glue the toy(s) in place with the glue gun. 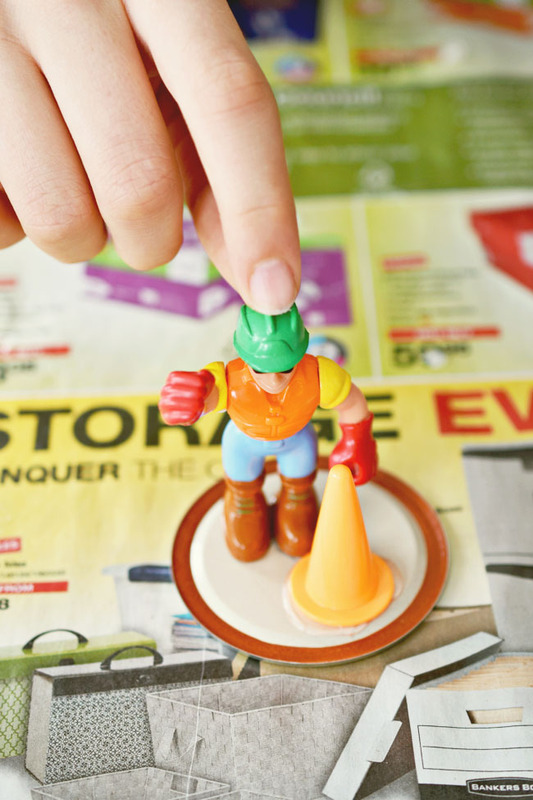 Apply pressure to toy to ensure glue adheres to lid. Allow glue to dry. I would even consider painting and gluing on one day and completing the project the next day. Add glitter and fake snow to the jar in quantity desired. Fill jar almost to the top with water. Add a squeeze of glycerin to slow down the glitter. We used diamond dust in place of fake snow because the craft store was out of fake snow (don’t look to buy it around Christmas - duh!). The diamond dust did not slow easily. It’s basically broken glass and I think it’s a bit heavy for this purpose. Also it has some health warnings on the label and I would not want to use it around small children. I was very cautious about cleaning it all up afterwards too. Ordinary glitter is nice, as are little heart- or star-shaped sparkles. Once the glue and the paint are dry, screw on the lid (or place the figure first facing in the best direction, ie. facing the clearest part of your jar, and then screw on the metal ring/band). We tried gluing the lid parts together and then on the jar, but I found the water leaked more (perhaps we didn’t glue entirely “smoothly”). In the end I preferred to just screw on the lids and not glue them. 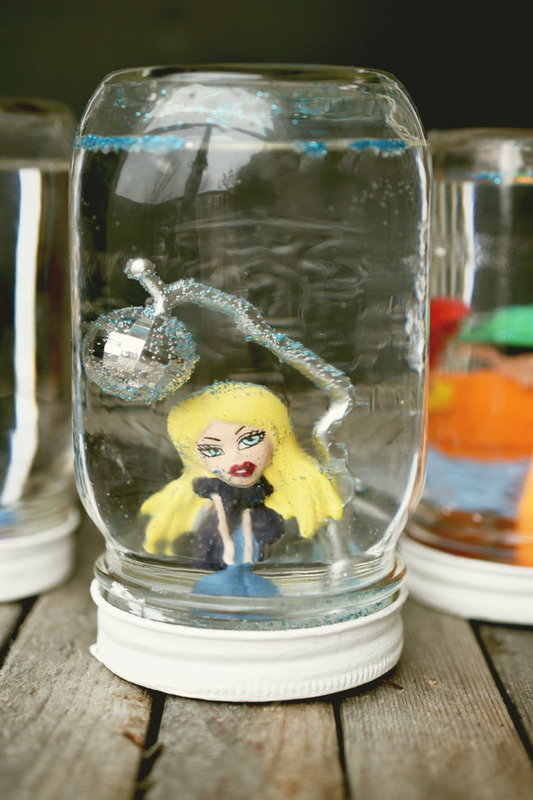 My daughter really had no use for this Bratz figure anymore, but we thought it looked cute in the jar. And we found a random disco ball that wasn't attached to anything so we glued it to the back of her head to add a little bling. Similarly, my son is beyond the construction worker toy phase, but adding this figure and a little pylon to his mason jar snow globe gives him a sweet memento of his younger days. We also had an Alvin and the Chipmunks Simon figure that is basically useless to us but looks cute in the mason jar snow globe. Avoid getting hot glue on your fingers! Did it. Have the hole in my thumb to prove it. 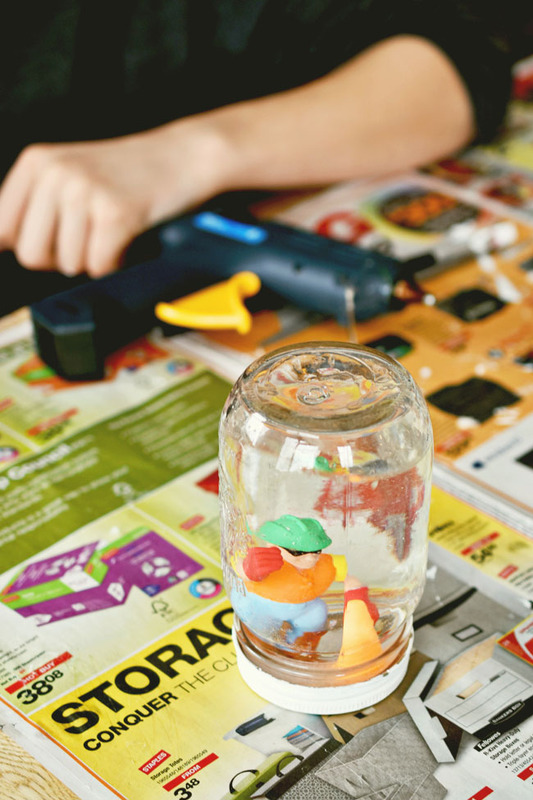 Don't do this mason jar snow globe project when you are suffering from PMS. You'll glue your fingers together, ruin the white paint by handling the lid too soon and basically want to hurl the jar right out the window. I speak from personal experience. Do you have toys around that might work for this project? 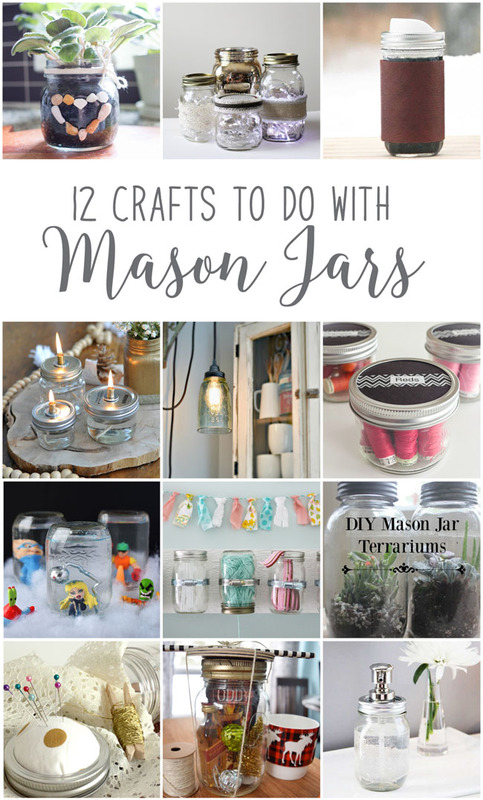 Check out the DIY mason jar ideas from my Canadian blogging friends! Mason Jar Farmhouse Light from Vin'yet Etc. 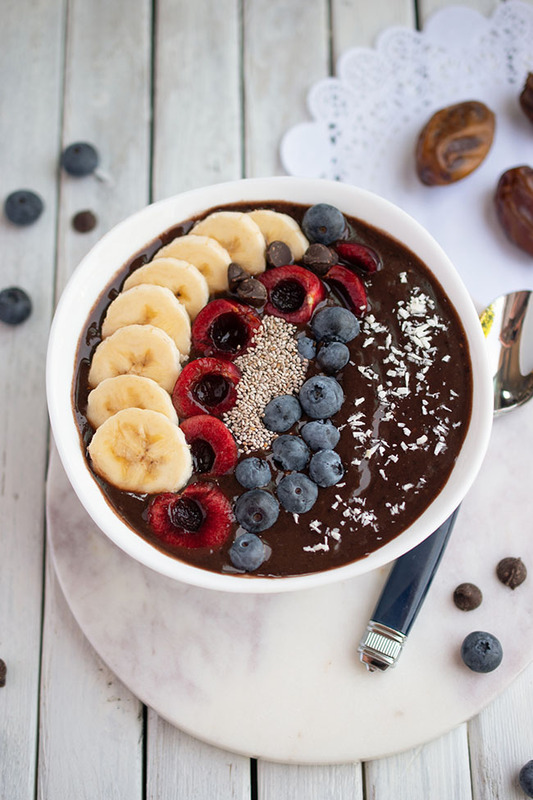 So many fun projects to read, enjoy and try!!! 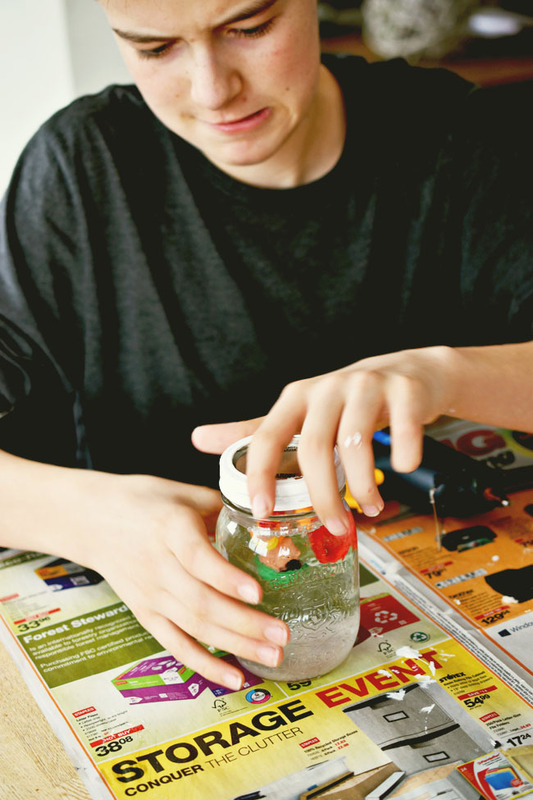 Have you done any crafts using mason jars? You made me laugh... between throwing jars out of windows and suppositories, bahahaha! I really like how these turned out, but I love the idea behind this project, spending some quality time with your family is what it's all about! Love your writing style! Hope your finger is OK and that your PMS has moved on for now. Did you keep a straight face when the pharmacist asked you if you wanted suppositories? What a fun way to showcase some old trinket toys. I was wondering what kind of fake snow you used. 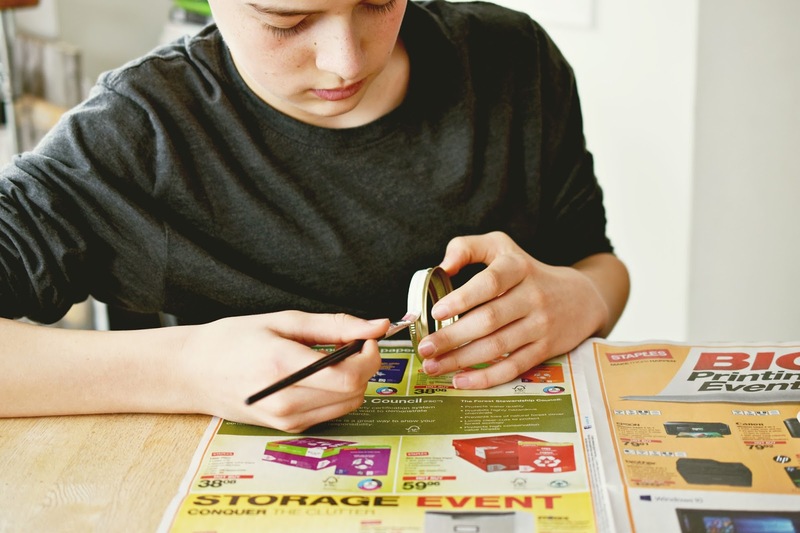 What a fun idea for a kid's craft! 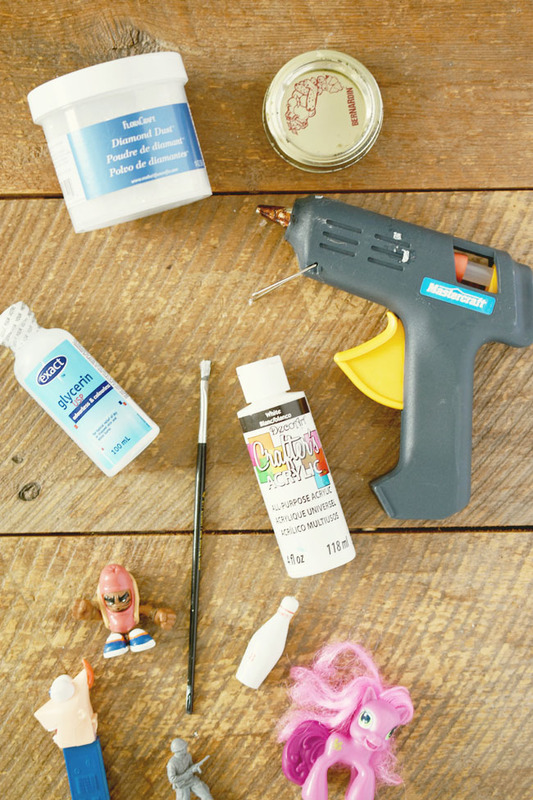 But you're right about the hot glue - it can be dangerous! Thanks Heather! For sure, I kind of (okay more than kind of) panicked when I got it on my fingers, and then ripped it off (and the skin with it)! Love it! Although we don't have any kids toys, I'm pretty sure I could find some cute ones for snow globes. 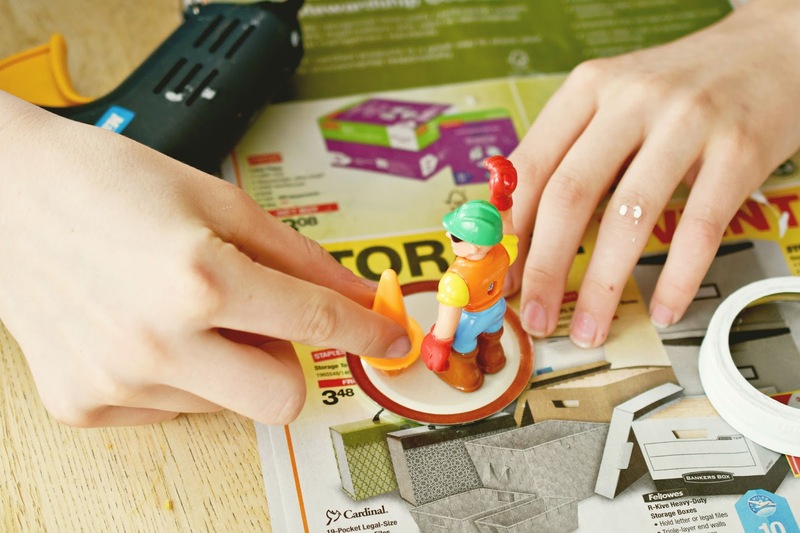 What a fun way to up-cycle old toys! Such a cute idea! It's unbelievable the amount of tiny toys we have lying around the house from the kids. This makes a great keepsake for those extra special ones. These are AWESOME! My girls would just LOVE making these, so it might be our weekend project. :) Super fun! Thanks Christina! It is a fun little project!